This short course provides provides a survey of global poverty and a discussion of the causes of prosperity. Particular emphasis is placed on the institutions required for market exchange, and the importance of economic calculation. 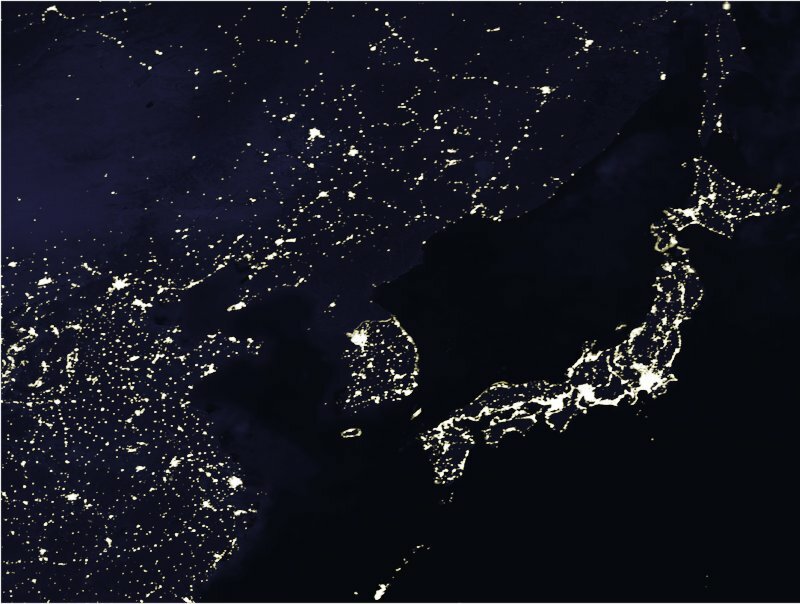 As a satellite photo of the Korean peninsula makes clear, socialist planning is literally groping in the dark. We will look at the theoretical reasons behind this claim, and the empirical validation that economic freedom matters. The course does not rely on any previous study of economics. In this lecture I will ask some broad and fundamental questions about the application of economic theory to the real world, and the role of the economist as a force for making the world a better place. I will try to convince you that we have a fairly good understanding of what causes economic growth, and how important this is for raising living standards and improving people’s quality of life. In other words, economics matters. Economic transition in Central and Eastern Europe: Shock therapy or gradualism? Downloads of the lecture handouts are available on request. This entry was posted in pedagogy on April 26, 2016 by aje.